A list of helpful writing sites from around the web. 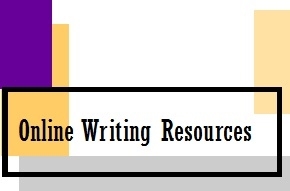 The Purdue Online Writing Lab is one of the most comprehensive writing resources on the Internet. Find up-to-date information on writing papers in MLA, APA, and even Turabian styles as well as in-dept examples for citing in these styles. The Harvard University Writing Center has an in-depth list of writing links that should be helpful during the writing process. The Brenau University Writing Skills Assessment Rubric is the basis for writing assessment at Brenau. Your professors will be grading your written assignments based on these criteria. The Brenau University Speaking Skills Assessment Rubric is the basis for speaking assessment at Brenau. Your professors will grade your speech assignments based on these criteria.